I have owned an AT-AUTO since they were first released and its given good service. One area that it let me down was 10M. On 28Mhz the coil can sometimes go into self resonance so tuning isn't possible. 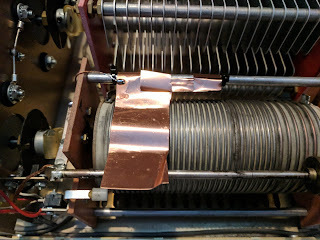 I fixed this by temporarily shorting the last four turns of the coil with some thin coax brain. It was an easy fix as the braid just slides between the coils and no soldering is required. Working on 10M is more important for me as there is no (or very little ) RTTY on Top band. But I really wanted both! 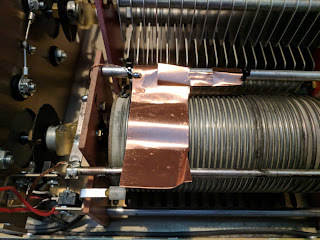 I recently bought an MFJ 962 tuner for field day operation which includes a neat little feature built into the coil to damp self oscillation. This is an elegant fix and kudos to MFJ for solving the problem! That got me thinking, and I designed a little device for the Palstar. 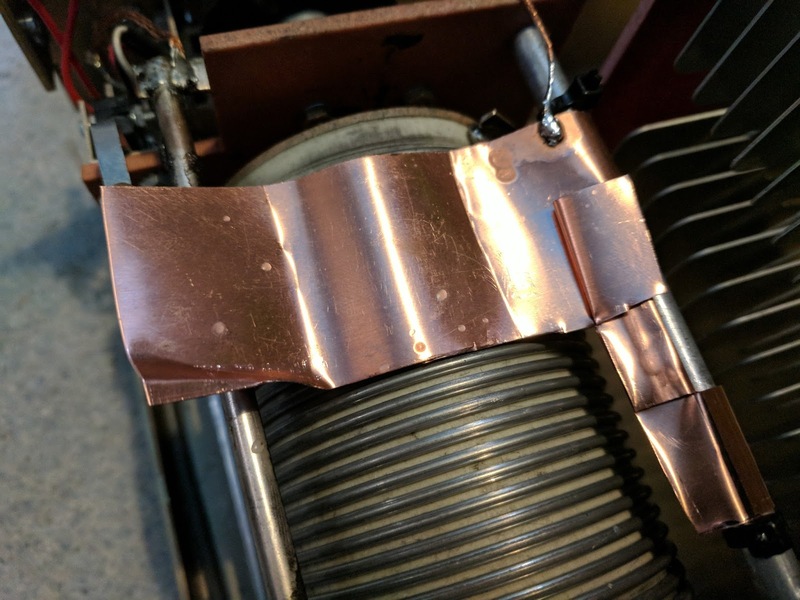 My solution is basically a folded piece of .3mm copper sheet that attaches to the opposite side of the coil support and is lifted by the tuning wheel as it travels down the coil. So far it worked fine and I get tuning down to 160M with no self resonance on 28 or 29 Mhz! A picture paints a thousand words so here is the solution. If you own an AT-AUTO why not give it a go. It's inexpensive, and the Palstar AT-AUTO is an awesome piece of kit.! Now I look at the coil I may buy a replacement? 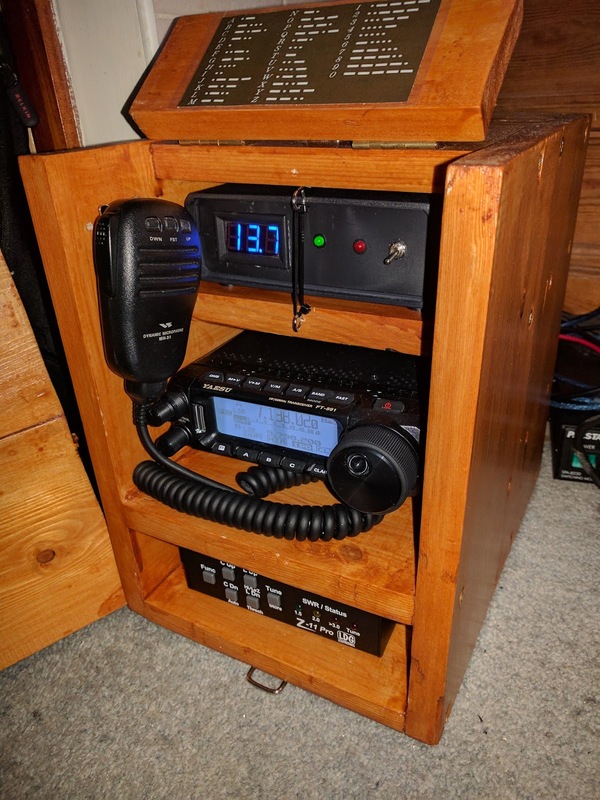 My original shack in a box portable set up used the FT-450D. 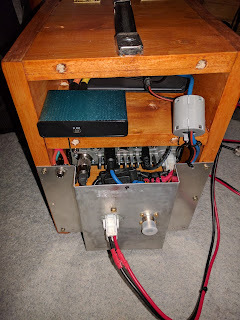 This is a smashing little radio except in my portable setup it includes an auto-tuner with limited capability and I integrated the Power Supply. The whole thing along with a fairly large mounting bracket was a little large and quite heavy to carry. As you can see it all fit in a neat little box with power, CW USB cables and antenna sockets at the rear. The RTTY interface includes a volt meter so I can keep an eye on the batter volts whilst portable. I ditched the mains power supply. I figured I could carry this separately and leave it behind if I intend to work of a battery. The FT-891 really is a smashing little transceiver, like the FT450 no filters required but the filtering and DSP in the the FT-891 seems much more flexible. It really wowed me. It a step change from the FT-450D and would recommend it to anyone looking to go portable or mobile. I use an FT-891 to drive my Kuhne Electronics transverter. A simple switching box ensures the 5 watts power is fed through a 20db attenuator to achieve the necessary drive. 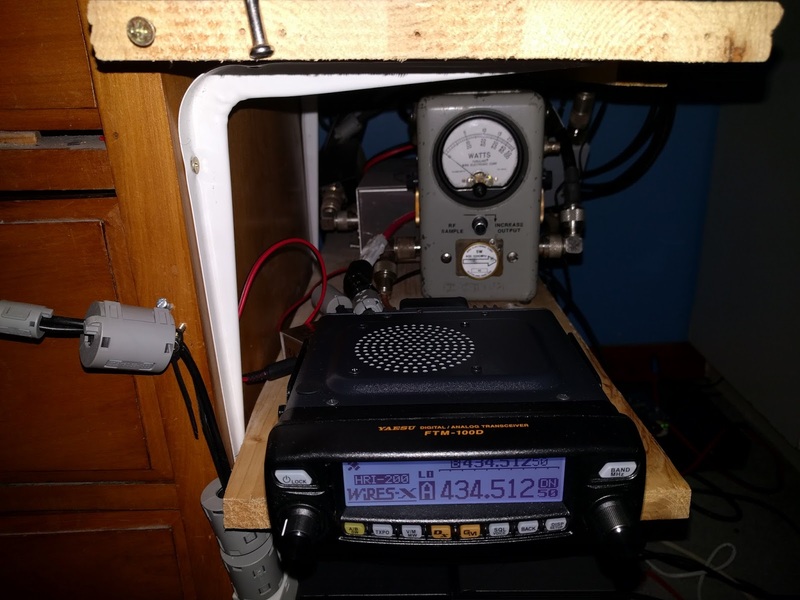 The transverter is GPS locked and after 3 minutes warm up listening to GB3VHF the stability of the rig is shown to be excellent with virtually no drift. I tried an outboard speaker but the internal speaker is so good I stopped using it! It’s been interesting to set things up and experiment with this mode. I soon established that there was absolutely no Fusion activity on 2M and a very distant repeater (GB7HF) on UHF. My next purchase was a second hand HRI-200 which is an internet Gateway. That’s where the need to register arrives as Yaesu needed my details before allowing me access to the Wires-x network through the device. A day later I was duly granted the appropriate access and just had to set up the HRI-200. 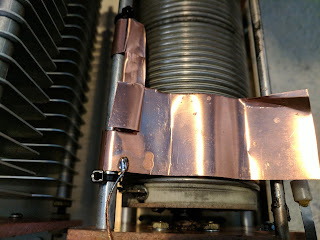 This wasn’t that straightforward given the internet connection at my QTH. I played with lots of settings around fixed IP addresses but these were a red herring.. Eventually I worked out I had to enable port forwarding against a range of addresses for the HRI-200 to connect. So here’s the rub. In the UK you cannot lawfully re-broadcast internet traffic without obtaining a NOV (Notification of Variation) from Ofcom. 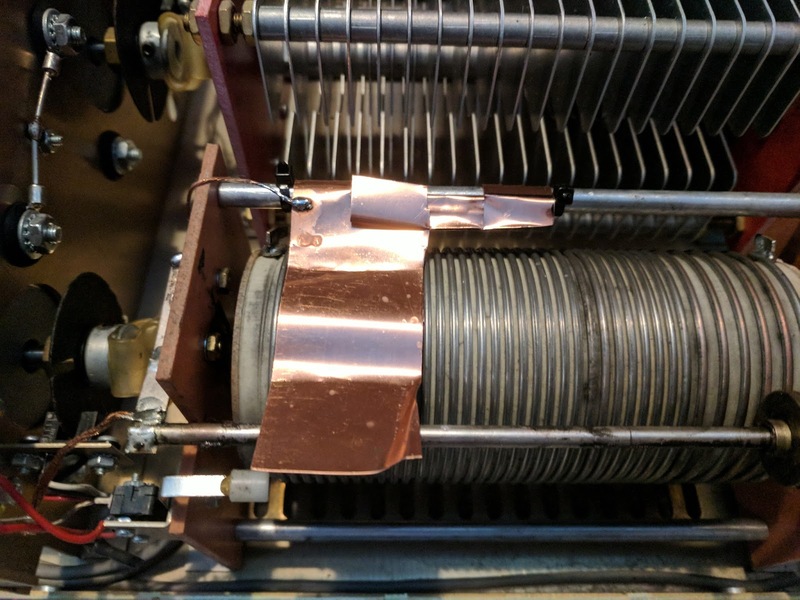 I started by running the FTM-100 into a dummy load and using a second FTM-100 to connect to the Wires-x network. Thats was actually quite useful as I slowly learned how the system worked by connecting to a node then searching and selecting the rooms where I could work people in or just monitor. After a little more researching I realised I could apply for an Ofcom NOV which would allow me to re-transmit the Wires-x traffic. Application for an NOV is through the RSGB ETCC for the region. Dave G7UZN is the rep for the SE Region, He pointed me towards the online application form and some things to observe (Power, antenna etc). I completed and submitted the online form quite easily although you have to be careful to get the location and height above sea level correct. 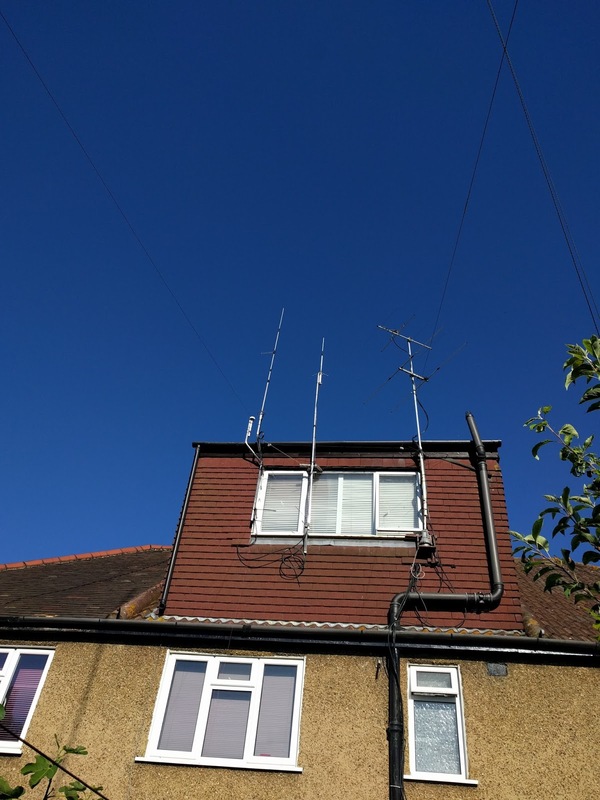 I’m home most days from 4pm so if you live around SW London and own a set capable of C4FM, hit the DX button on your transceiver and see if my gateway responds. I haven't set up a room for SW London as there are already lots to choose from and the gateway is open to all users who can select what they want to listen to. I must say I enjoy listening to America Link and UK Net Hub traffic. I will see how things go and maybe set up a 2M Gateway in the future. I thought I would post my 2M station details. The IC-202S is a recent nostalgic purchase. This was the first transceiver I owned back in the 70s and I remember the fun working GW for the first time HI HI. It had some "Issues" but their mainly sorted now. I plan to fit rechargeable batteries and take it portable. See you on 2m SSB? Happy 2013 to all, lets hope its a good one. Of course there weren't that many entrants for England but I was top. It looks like running up a good number of multipliers (running all bands and chasing continents/countries) paid off. Congratulations also to Mike K4GMH winning the single op category for NA, hes always a big signal and I often work him on all bands. The 2013 ARRL RTTY Roundup is next weekend so I will see if I can up my 2012 score and secure another win. 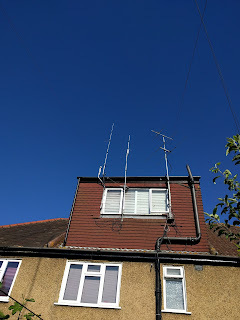 My 2M array seems to have gone faulty (I think it may be the splitter) so as soon as the high winds die down I'm going to make repairs. 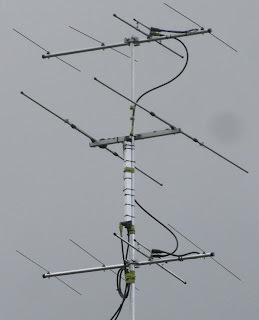 The 2 x 4 ele Cushcraft boomers work well but I think I will replace them with a single long yagi. Probably another Boomer as they work so well. I'm up to 159 countries confirmed on HF RTTY through LOTW so I hope the double century isn't too far off. Maybe 2013 will be the year? Anyway, I may have a busy year at work but I'm sure I will see you all on HF RTTY over the weekends? It would appear someone is using my name and call G3VZL to advertise equipment and then defrauding purchasers. I'm not the first this has happened to or the last. If you ever see an advertisement with my call only those with my email G8UBJ.IO91UJ(at) GMAIL.COM is a valid advertisement. 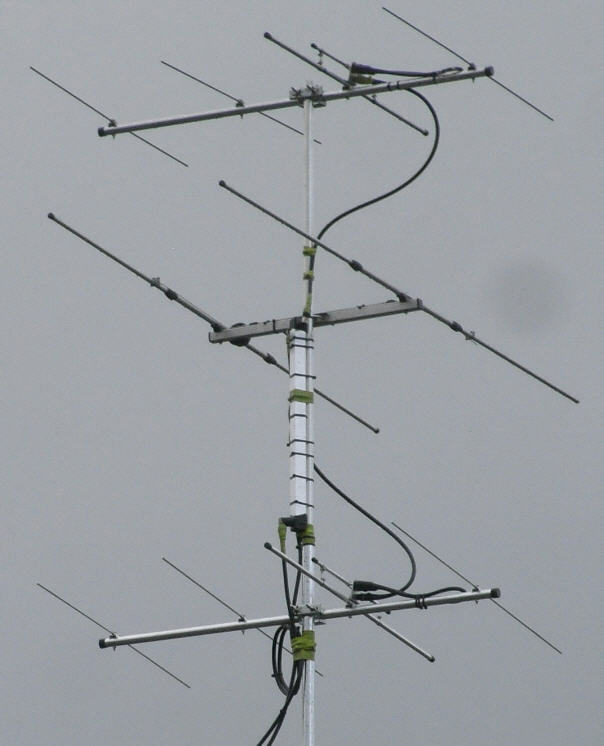 BTW I very rarely advertise and if I do I invite viewing/testing at my QTH! Do not send money, please report this to the authorities. I recently started looking for a UHF transceiver for the shack. 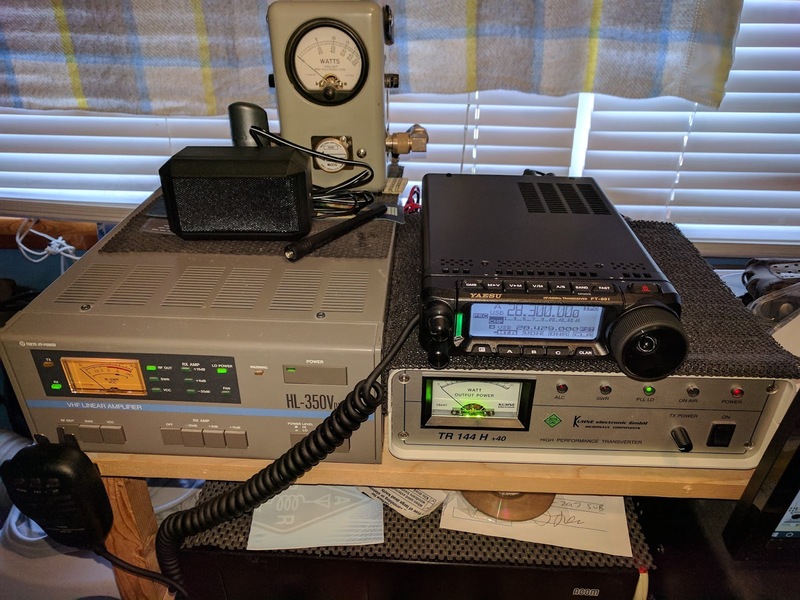 I know its easy enough to buy something like the FT-8900 but I have separate antennas for each band & I really wanted something I could leave running. I thought Alinco were about the only company left selling single band UHF transceivers until I discovered the FT-1907R. 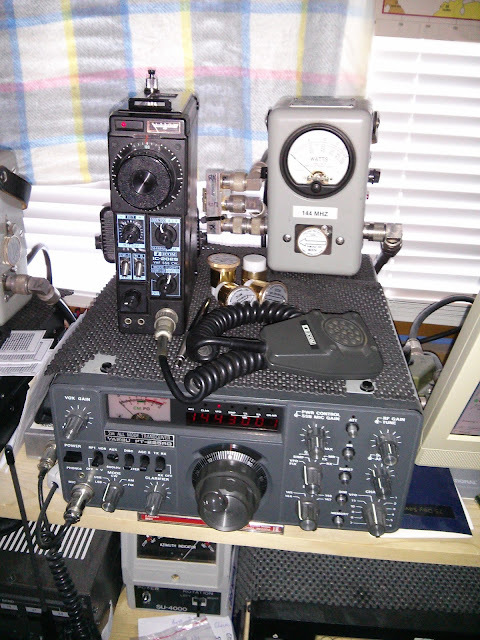 As you can see its a companion to the FT-1900 2M transceiver from Yaesu. I found a Greek company selling this on eBay which surprised me as its not listed on the Yaesu dot com site. Either way it was quite a reasonable price and delivery was quick. Initial testing showed that it did provide 55 watts output as specified and on the air was reasonably sensitive. I'm sure that if this gets to the states we can rely on the ARRL to put it through its paces so I won't go further into testing as my facilities are limited. Transmit and receive runs from 400 - 470 Mhz continuous. 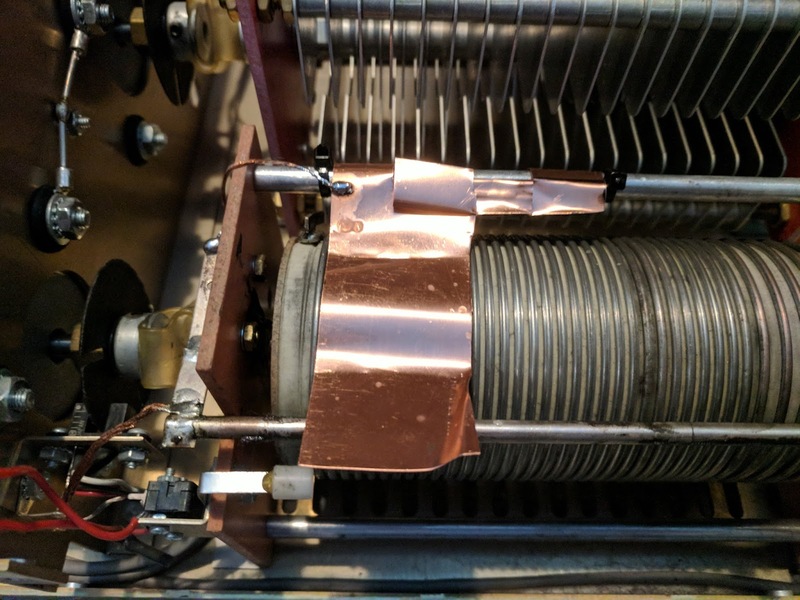 I found that like the FT-1900 this gets quite warm during extended transmit so I will publish a fan modification in my next post. As its a UHF rig an N-type connector would have been a nice addition. This was quickly fixed. I'm not sure why its not more widely available; maybe its early days or maybe Yaesu are trying to protect sales of their multi band transceivers in Europe and North America?